Professor at HEC Paris and Global Clinical Professor at New York University School of Law. 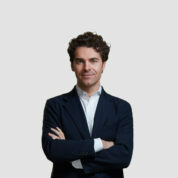 Due to his commitment to bridge the gap between academic research and policy action, Alberto established eLabEurope, a start up committed to improve civic literacy, engagement and participation by lobbying in the public interest. His first MOOC – Understanding Europe – available on Coursera has already trained more than 100.000 citizens about how to protect their rights in the EU. The EU Public Interest Clinic enables every year dozens of students to provide pro bono advice to non-profit organisations active in policymaking across Europe, such as Transparency International, Wikimedia and Access Info Europe. Alberto is now working on the launch of The Good Lobby, the first platform aimed at connecting academics with civil society organizations who need them in pursuit of the public interest. "The Global Teacher Prize contributes to beautify education by celebrating its heroes."